Barter Books : Heathcote, Colin [ed.] : Rail Tales and Station Stories. Double CD. Interviews with railway people who worked at Alnwick Station and members of their families. 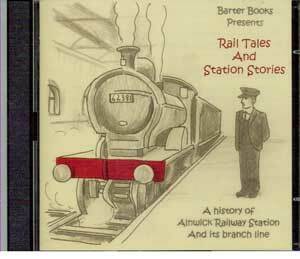 Amongst the stories are 'The Little Train Robbery', the Royal Visit, Irish cattle running riot in the Station Master's garden, derailments and many more anecdotes.